Perhaps most well-known as the host city of the World Economic Forum, Davos, Switzerland regularly welcomes some of the world’s most powerful people from politics and business. But before Davos became the epicenter for the world’s economic affairs, people made the pilgrimage to the Graubünden Alps for its healing effects. 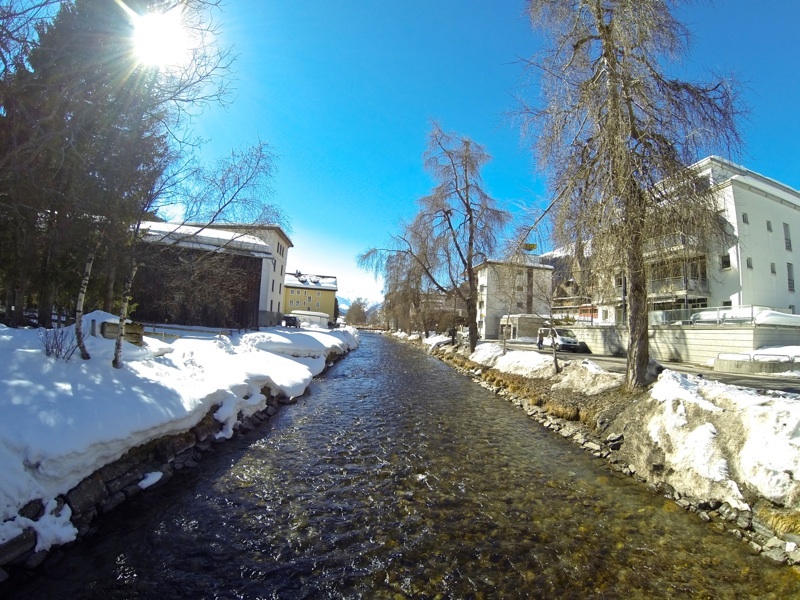 Since the middle of the 19th century, Davos was best known as a summer spa town, thanks to German, Alexander Spengler, who discovered the healing properties of its climate. As the highest Alpine town at 1, 560 meters above sea level, Davos was filled with sanatoriums, treating those afflicted with allergies and respiratory issues. Thanks to progressive treatment methods, Davos looks unlike a typical Swiss Alpine village. Instead, there is unique architecture found throughout the city. Minimalistic buildings feature large windows designed to allow for the most sunlight to flood sanatorium rooms, rather than small ones to keep the cold out. Essentially plain cubes, these unornamented buildings were given flat roofs to help prevent avalanches, as well as south-facing sun terraces. By 1910, there were 26 sanatoriums, convalescent homes, private guesthouses and 46 hotels built to treat those suffering from illnesses such as tuberculosis. Davos is now also a mecca for winter sports lovers. With skating on Davos Lake since the mid-1860s and curling since the late 1880s, the town made its mark in the skiing world with the Parsenn funicular in 1931. This was the first time skiers were ever mechanically transported up the mountain. As part of the prestigious Best of the Alps organization, there are now 58 lifts and nearly 200 miles of pistes across the seven Davos-Klosters skiing areas of Gotschna, Jakobshorn, Madrisa, Parsenn, Pischa, Rinerhorn and Schatzalp/Strela. Connecting the Davos and Klosters ski areas are Parsenn and Weissfluhjoch, which are favorites of avid skiers. On the contrary, snowboarders will relish the half-pipe and monster pipe of Jakobshorn. 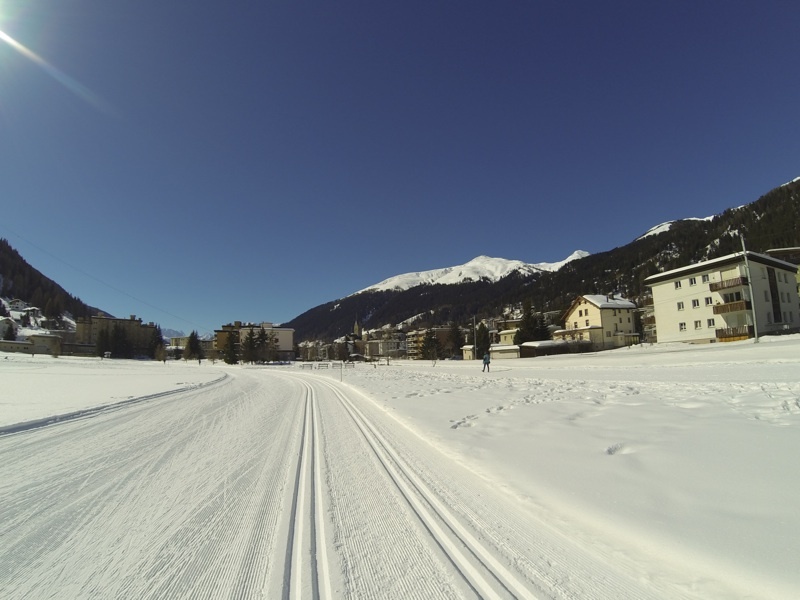 As one of the preeminent cross-country skiing destinations in the world, Davos offers almost 50 miles of free tracks for novices, intermediates and Olympic athletes who regularly train here. Davos is also home to Europe’s largest natural ice rink, two artificial rinks and nearly 70 miles of prepared snowshoe trails and winter walking path. Winter options for visitors are only limited by their time in Davos. Steigenberger Grandhotel Belvédère is a five-star hotel in the center of Davos. Stylish and traditional, the Belvédère has a warm alpine feeling, while boosting the most modern of conveniences. 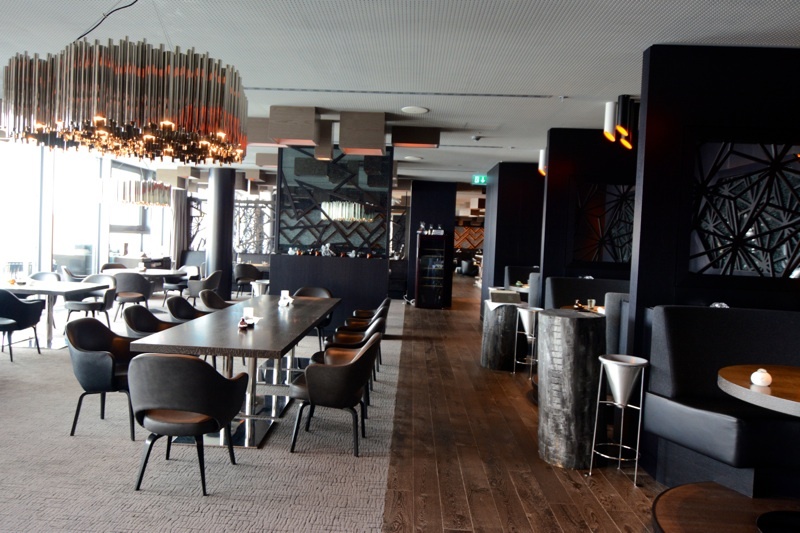 With 126 rooms, a stylishly refurbished bar and lobby area, three restaurants, and a well-equipped spa with panoramic views of the mountains, Belvédère is a luxurious base for a ski holiday in Davos. As one of the newest hotels in Davos, InterContinental has 216 rooms, twenty-five of which are suites. Set slightly outside of the city center, the resort offers brilliant views over Landwasser Valley and the Graubünden mountains. Spa aficionados will appreciate the two pools, sauna, steam room and over thirty different kinds of treatments available, perfect for unwinding after a day on the slopes. On the top floor of the hotel, guests will be spoiled for choice with Studio Grigio, featuring three restaurants and a cocktail lounge, all with unparalleled views of the Alps. 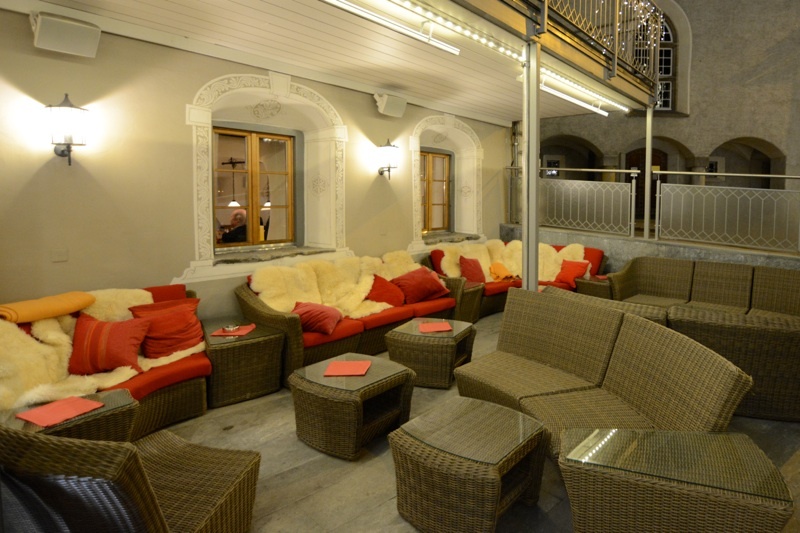 Opened in late 2011, Hotel Grischa is a four-star hotel in the heart of Davos. 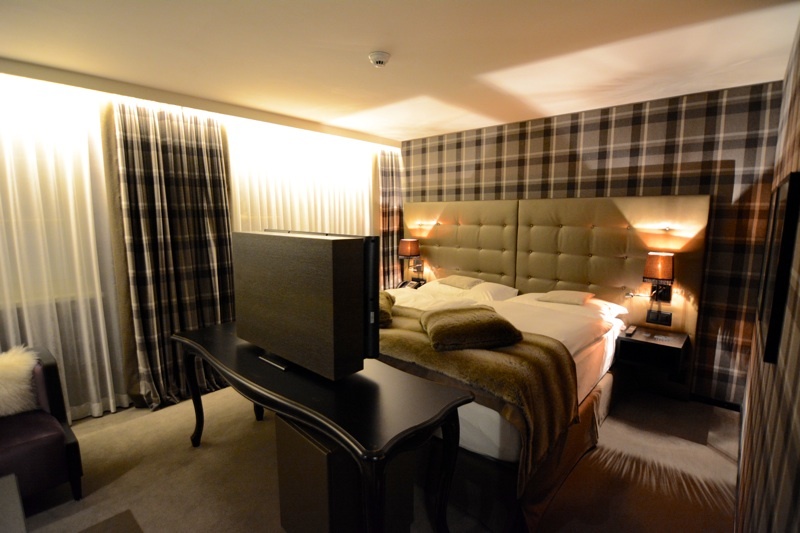 Rich fabrics, contemporary fixtures and sleek lines are the hallmarks of Hotel Grischa. With 93 rooms and an astounding five restaurants, including the innovative gourmet restaurant, Leonto, this hotel is the essence of modern Alpine luxury. Ideally located by the Parsenn ski lift on Davos’ Promenade, Hotel Seehof is a family-run, four-star superior hotel. Some of the most famous names in business, politics and entertainment have graced this hotel and its 84 rooms, eight suites and seven Swiss pine suites. The newly refurbished spa and wellness center is a welcome retreat, while Hotel Seehof’s four restaurants offer a wealth of variety. Gourmands will especially appreciate the Michelin-starred restaurant, Amrein’s Seehofstübli. Waldhotel is a four-star superior hotel that once served as a sanatorium. The house was the inspiration for the novel, The Magic Mountain, by Thomas Mann. Perched amongst pine trees on the side of the mountain overlooking Davos, Waldhotel is close to all the town’s activities, yet yields a tranquil environment. Its thirty-six recently renovated rooms and suites offer large balconies and floor-to-ceiling panoramic windows, along with all the comforts one would expect from such a highly rated hotel. Mann & Co., with its sixteen GaultMillau points is the signature gourmet restaurant, and for a more casual meal, the Dining Room is available. The well-equipped spa features a saltwater pool, the only one in Davos. Check out Hofmänner Sport for cross-country ski equipment rentals and Paarsenn Sport for downhill rentals. 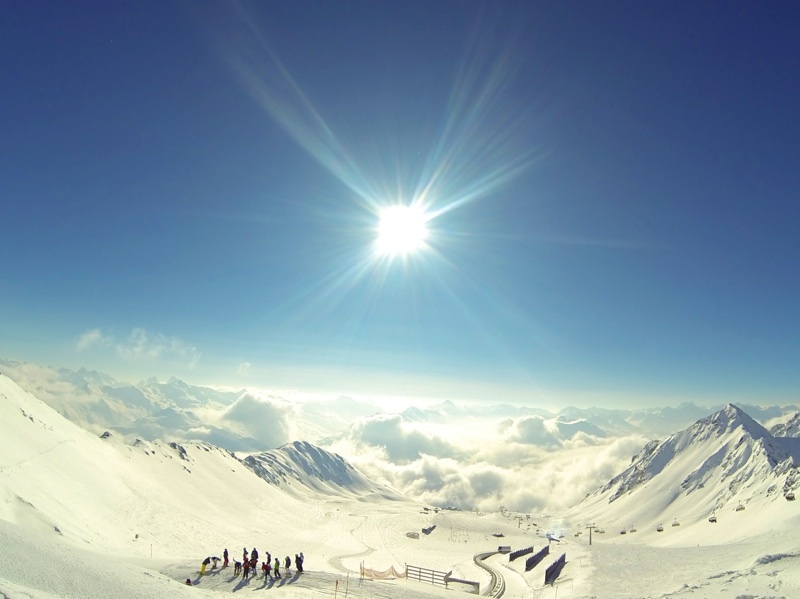 For lessons or a ski guide, look to Swiss Snowsport School, founded in 1932.